Get world class applications from a tool you already own. Automate data management and integration processes, saving time and money while maximizing accuracy and consistency. Mitigate data integrity risks by building appropriate data edits and validations into our secure, customized platform. Delegate responsibility more effectively now that business processes are automated in one simple, user-friendly application. Using the Visual Basic for Applications platform delivered with every version of Excel, we create applications designed to automate your business processes and mitigate data integrity risks, enabling you to delegate your team’s responsibilities strategically and efficiently. We’ve saved companies hundreds of work hours and thousands of dollars using our risk-mitigating platform. We want to do the same for you. Schedule a call with us today. Let us show you how to get world class applications from a tool you already own! 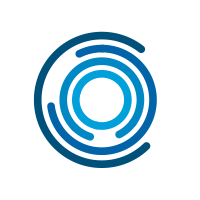 Copyright © 2019 Concentric Systems. All Rights Reserved.